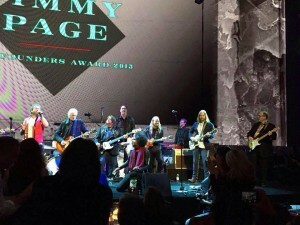 I recently had the gig of a lifetime at the EMP Sky Church, performing for (and eventually with) Mr. Jimmy Page. I was in the house band along with Barrett Martin, Andy Coe, and Duff McKagan. What a thrill. A highlight for me was performing a Yardbirds tune with Rick Nielson, who was the first rock performer I ever saw live (with Cheap Trick).